In 1981, Manchester City, a club in Salford whose big spending hadn’t brought results, allowed in the television cameras. Not entirely by coincidence, he chose the same period to sack championship-winning City coach Malcolm Allison in favour of John Bond, who’d take them to the FA Cup Final. 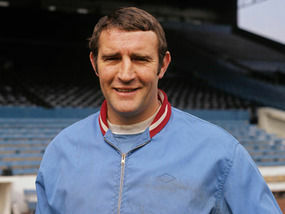 Twenty years earlier, Bond had been a disciple of Allison’s, part of a group including Bobby Moore and Noel Cantwell who grew up in Big Mal’s exuberant shadow at West Ham.